The specialists at Ivan’s Drywall and Painting also specialize in insulation and have years of experience in providing the Fargo, Bismarck, and Rothsay, MN markets with fast and efficient spray foam insulation services. Our team of experts will work with you, inspect your home, and figure out which solution would provide the best outcome for your space or home and provide energy efficient and cost saving benefits. 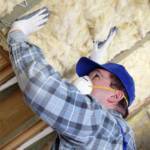 We provide our insulation services to both residential and commercial properties of all sizes. We are experienced in all areas of insulation, including existing and new construction, basements, attics, crawl spaces and roof insulation. Whether it’s filling the trusses, or standard insulation in the walls, or blowing in to control sound better, we do it all. Spray foam is your answer to all your energy costs that are literally just seeping out of your roof. Spray polyurethane foam (SPF) is a spray plastic that essentially forms a sealing barrier that can be applied on roofs, walls, corners even on contoured surfaces. Spray foam is created by mixing these reactive unique components on site and when they are combined they expand on contact with selected surfaces. This is how the spray foam creates the unbeatable insulation that is going to seal gaps, and can form moisture and vapor barriers. SPF insulation is even known to resist heat transfer, which is where you are going to find the value in choosing this type of insulation. The reason being is it is the most effective solution as far as insulation goes in the reduction of air escaping on coming in through cracks, seams and joints. 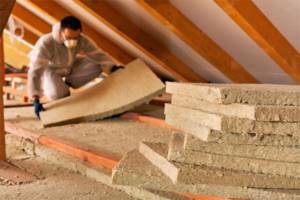 Fiberglass, which has been used to insulate homes for decades, is available as blown-in or batts/blankets. Fiberglass is made of tiny glass fibers and is often installed in attics but can be used to insulate other areas as well. Fiberglass blankets/batts are used to help conserve energy by holding in heat or holding out heat better. A properly insulated building can save a large amount of money on heating and cooling costs. 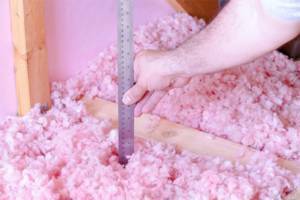 There are some major benefits for blown in insulation. It is more energy efficient, easier and cheaper to install, and easier to replace if need be. It is the only insulation you can add to walls without having to remove and replace the drywall as well. We can use blow in insulation for walls and ceilings alike, and it works great for controlling noise and saving energy costs. Ivan’s Drywall provides the most professional local insulation, drywall, and painting services, including fiberglass blankets/batts or blow-in insulation, drywall installation and repair, commercial and indoor painting, and textured drywall finishing near Fargo, Moorhead, West Fargo, Bismarck, Mandan, and Jamestown.